Add a classic touch to your kitchen with the CAE KN1008-1 Single Bowl Undermount Stainless Steel Kitchen Sink. This beautiful sink is finished with 304 Grade stainless steel. Manufactured by CAE, you can rest assured that this sink will last. This sink is both classy and affordable. Are you looking for the right sink for your kitchen? If so, look no further than Fiberpol. 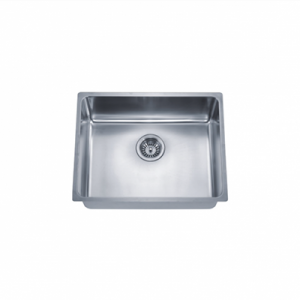 We offer the best stainless steel sinks, and this CAE sink is no exception. This single bowl kitchen sink makes a beautiful addition to any kitchen. It is finished with satin and 304 Grade stainless steel, and it’s the perfect size. It’s also manufactured by one of the best in the business, CAE, so you can rest assured that you’re buying a high-quality sink.